I'll be honest - body oils are not something I've tried in the past or particularly had much faith in. However, when Fushi Wellbeing got in touch and asked if I wanted to try their latest range of beauty oils I was intrigued to try them for myself and see if I could reap the benefits. 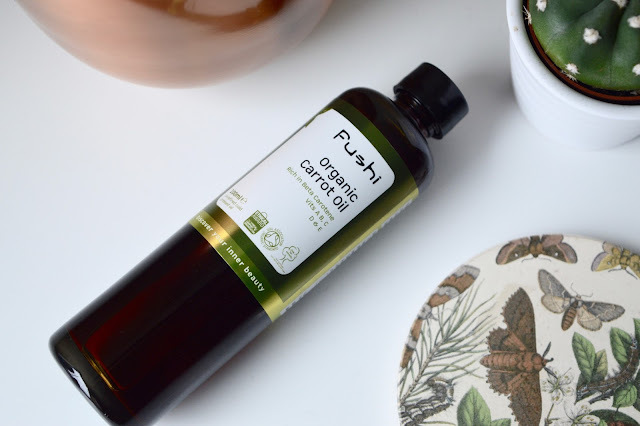 For those of you who have yet to check out their site, Fushi Wellbeing are UK based brand who focus on ethnical, environmentally-friendly health and beauty products. With the cold, winter months still very much upon us, they've released three new oils for dry, dull and sensitive skin each with their own unique qualities. On first impressions, I'm not a massive fan of the sticker on the packaging itself but I do think the bottles themselves make for a premium looking product. Passion Seed (Maracuja) Oil* is primarily known for it's calming properties and is made from the seeds of Passion flower. Fushi recommends that you put a couple of drops on a tissue and leave it next to your pillow to aid a peaceful nights sleep. Alternatively, it can be added to a warm bath after a stressful day. Personally, I really did not like the smell of this oil at all and so I can't imagine getting to sleep with this under my nose. Having added it to my bath, I definitely can see the calming aspect if you're willing to get past the smell. It honestly reminds me of vinegar and marijuana - something I'm not personally a fan of to say the least. 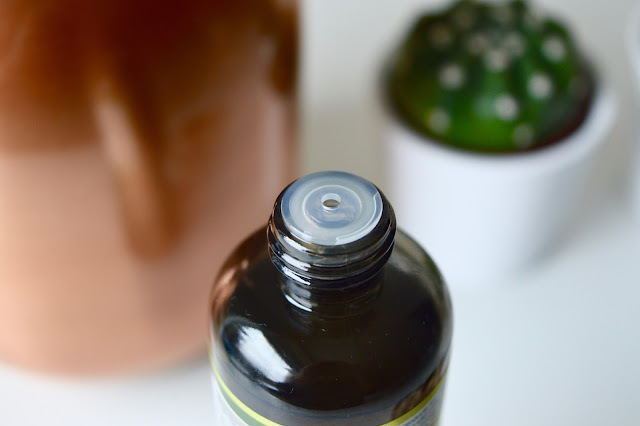 Luckily, the bottle has a cap which allows you to add as little or as much as you wish or it can be added to other oils to take away the scent. 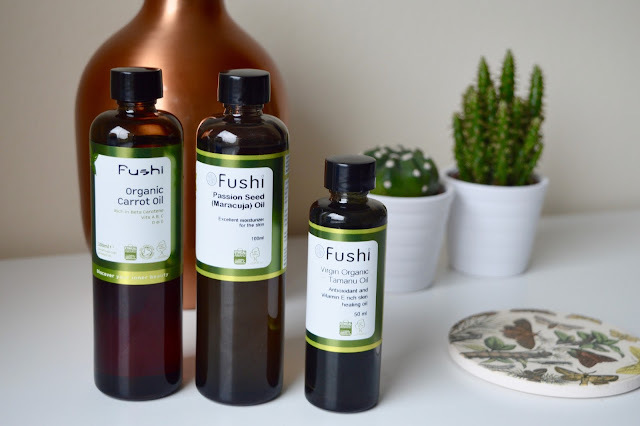 Up next is the Fushi Organic Carrot Oil* - This oil is cold pressed and made from whole carrots before being infused with almond oil. The bottle also contains vitamin A, B, C, D and E which claim to brighten and moisturise skin in the cold, winter months. 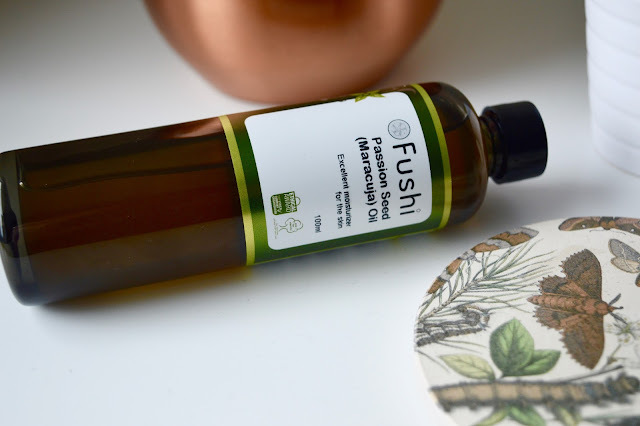 Fushi recommends this to be ideal for ageing, wrinkled or sun-damaged skin and can even be used on your hair to reduce frizziness and dryness. This is certainly the best smelling of the three oils though, again it's not got the most amazing smell in the world. When poured on to the skin it reminds me of sweet and sour sauce and it will make your skin and scalp orange for sure. I recommend you add it to the skin and then jump straight in the shower (be careful of getting it on your towels). 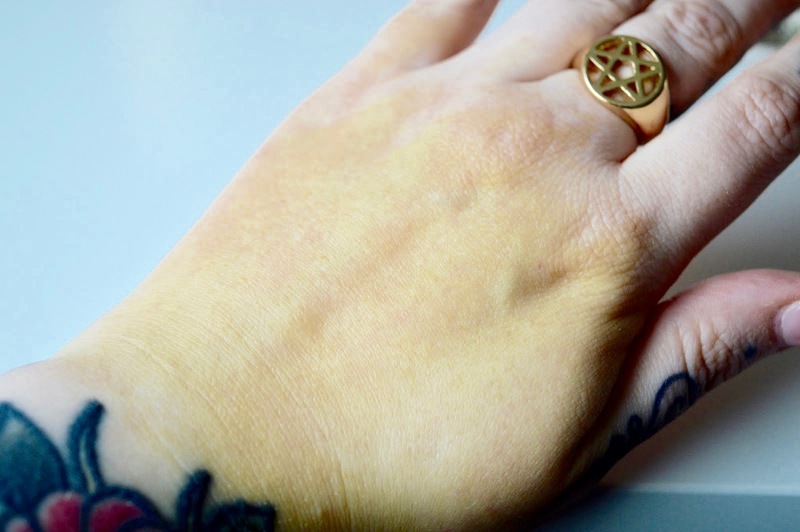 Although I did have to scrub to make sure it was all off, it really did leave my skin feeling super soft. Again, personally, I'm not sure I would make the effort to purchase this myself but I do like how moisturising it was overall. 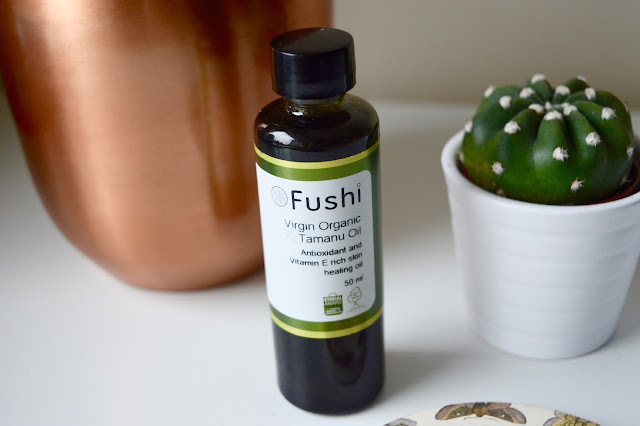 The Virgin Organic Tamanu Oil* boasts to improve your skin, helping to heal scars, stretch marks, acne scars, anti-ageing, abrasions and sunburn. It also claims to be an antioxidant, anti-bacterial and anti-inflammatory properties which can be useful for spot treatment and rehabilitating, dry and damaged skin. Having combination skin, oily products are not ideal for me and so I found this too much for me, personally. I imagine, however, that if you're skin is super dry that this could be very helpful in used in very small doses. 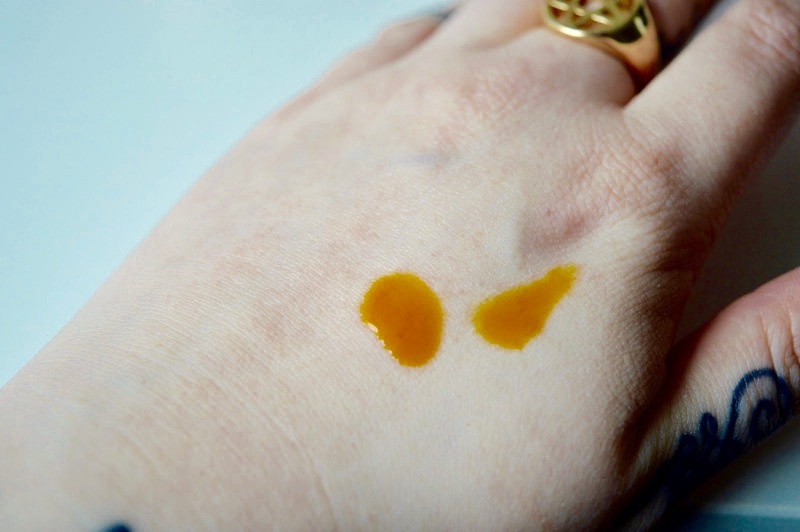 It may be the cynic in me but I find it hard to believe that one oil can do so much and so I wouldn't purchase this myself but I will certainly test it over the next few weeks and see if it really does help to reduce marks and damaged skin. As of yet, it is definitely moisturising and ideal for elbows and legs. Again, it does not smell great but I'd recommend applying to your desired areas and then jumping in the shower. Once dry, you'll really notice the effects and how soft the skin feels. That's it for another beauty review - have you ever tried body and relaxation oils? 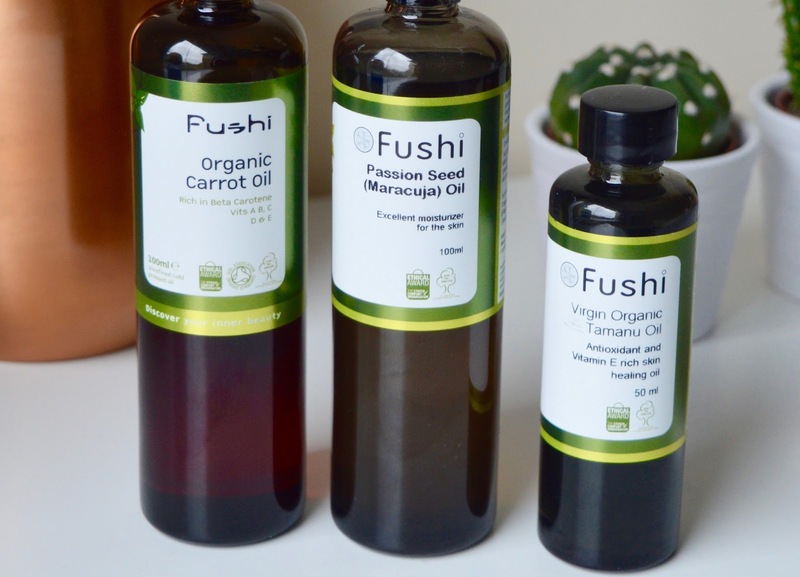 What do you think of these Fushi products? As always, I love reading your thoughts so please do leave me lots of lovely comments below. *Disclaimer - These products were provided to me in exchange for review. As always, all opinions are my own and are not that of the brand. It all sounds lovely but the staining is a nightmare! I would get that everywhere! Sounds like it's worth a try! I definitely want to try it out. Please don't use my comment section as your own personal spam bin. Agencies are still practicing black hat SEO tactics then?